Earlier today 2020 presidential candidate and New Jersey Democrat Senator Cory Booker made quite the scene at Judge Brett Kavanaugh's confirmation hearing. 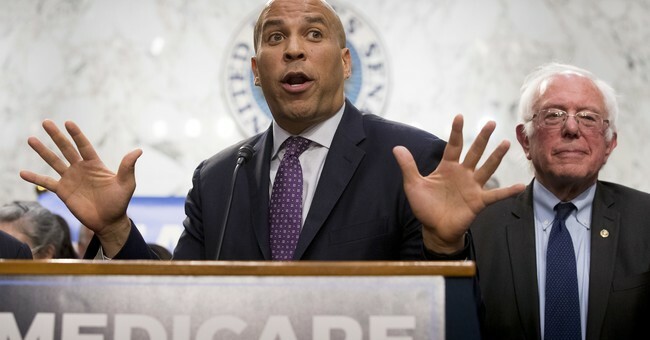 Daring Republicans to expel him from the Senate, Booker vowed to knowingly break Senate rules by releasing confidential Committee documents and accused Kavanaugh of having something to hide. --Rs say the "committee confidential" docs were cleared for release before 4 a.m.
--REGARDLESS, they were cleared for public release before Booker and Hirono posted them on their websites. But it turns out the documents Booker "heroically" released, even saying this was his "Spartacus moment," had already been cleared for publication at 4 a.m. this morning. Therefore, he didn't actually break any rules. He was simply grandstanding. Others were cleared last night. Further, it takes 2/3 of the Senate to expel a Senator. Booker knew going into this morning's hearing that would never happen and made his statements anyway. Booker's grandstanding fell apart faster than his story about his non-existent friend "T-Bone."